[12/09/2016 @ 12:16 PM] Book this fare on: Priceline, Travelocity, Hotwire, Orbitz, CheapTickets, Expedia, BookingBuddy. [12/09/2016 @ 5:02 PM] Fare gone. Removing from deal list. 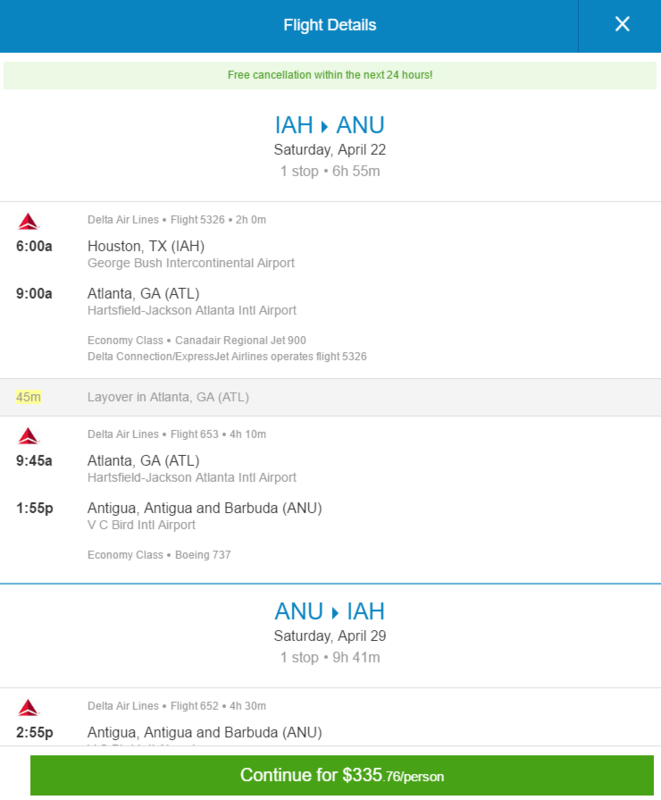 Delta has round-trip flights from Houston (IAH/HOU) to Antigua (ANU) starting at $336, with a connection. 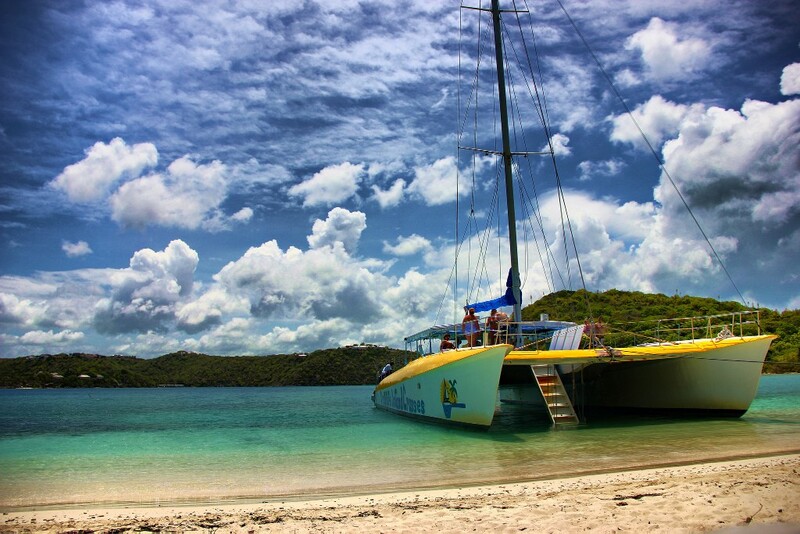 Flights on Saturdays only from April to June. Note: There aren’t a lot of dates or seats available, but we feel that the few dates we’re finding are worth mentioning at this price. Saturday to Saturday flights will mean you’ll be staying there a week. Example Dates: (Priceline / Travelocity) Apr 22 – Apr 29 / May 13 – May 20 / May 27 – Jun 03 / Jun 24 – Jul 03 / Other dates: Saturday to Saturday only. Before you finalize your purchase, use BookingBuddy to make sure there isn’t a better deal being offered by another airline. I was able to pull this up on Priceline. Screenshot taken at 12:16 PM on 12/09/16.